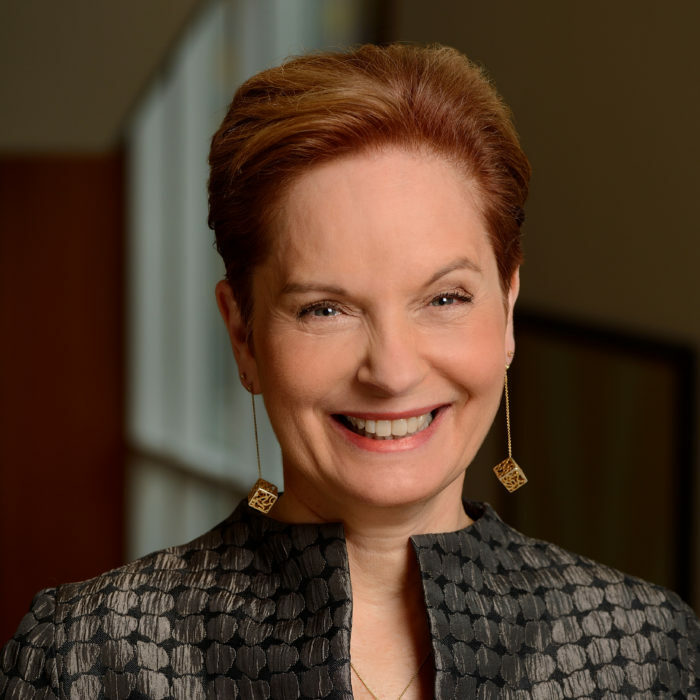 Cynda Hylton Rushton, PhD, RN, FAAN, is the Anne and George L. Bunting Professor of Clinical Ethics in the Berman Institute of Bioethics and the School of Nursing at Johns Hopkins University, with a joint appointment in the School of Medicine’s Department of Pediatrics. A founding member of the Berman Institute, Dr. Rushton co-chairs the Johns Hopkins Hospital’s Ethics Consultation Service. An international leader in nursing ethics, in 2014 Dr. Rushton co-led the first National Nursing Ethics Summit, convened by the Johns Hopkins Berman Institute of Bioethics and School of Nursing. The Summit, supported by strategic partners from 9 national nursing organizations and 7 collaborating organizations, developed a Blueprint for 21st Century Nursing Ethics. The Blueprint highlights recommendations for clinical practice, education, policy and research and has been a catalyst for strategic action coinciding with the American Nurses Association 2015 designation of the “Year of Ethics”. Dr. Rushton’s current scholarship in clinical ethics focuses on moral distress and suffering of clinicians, the development of moral resilience, designing a culture of ethical practice, and conceptual foundations of integrity, respect, trust and compassion. Dr. Rushton’s seminal work on nurse suffering and moral distress was selected for inclusion in the U.S. Nursing Ethics History project chronicling the evolution of nursing ethics in the United States. As part of her RWJ Fellowship, she also tested an intervention to reduce moral distress and burnout by cultivating resilience in nurses working in critical care, oncology and neonatal/pediatrics. Dr. Rushton is currently designing, implementing and evaluating the Mindful Ethical Practice and Resilience Academy (MEPRA) to build moral resilience in novice nurses. Her forthcoming book, Moral Resilience: Transforming Moral Suffering in Health Care, to be published by Oxford University Press aims to transform current approaches for addressing moral distress by focusing on innovative methods to cultivate moral resilience and designing a culture in health care that supports ethical practice. Dr. Rushton is also an internationally recognized expert in ethics and palliative and end-of-life care. In 2001, she received the American Association of Critical-Care Nurses Pioneering Spirit Award for her work in advancing palliative care across the life-span. Dr. Rushton was appointed by Maryland’s governor as the first chair of the State Council on Quality Care at the End-of-Life and served from 2002-2008. She has provided leadership to a variety of national projects focusing on palliative and end-of-life care, including the National Nursing Academy on Palliative and End-of-Life Care Open Society Institute (PDIA), an innovative, experiential interdisciplinary communication training model (HRSA), the Initiative for Pediatric Palliative Care (IPPC) a research, education and quality improvement project, the End of Life Nursing Education Consortium (ELNEC) and the Upaya Institute’s Being With Dying Professional training program. Dr. Rushton served as a member of the Institute of Medicine’s Committee on Increasing Organ Donation and as a consultant to the IOM’s project “When Children Die.” She also served on the board of directors of the Coalition to Transform Advanced Care (CTAC). She led (with Dr. Gail Geller) an international collaboration to improve the lives of children affected by life-threatening neuromuscular diseases and a related project, focusing on the ethical issues faced by neuromuscular clinicians. In 2008 and 2014, Dr. Rushton was honored as one of Maryland’s Top 100 Women. She is also an American Academy of Nursing’s Edge Runner and in 2014 received the Milestone Award for Bioethics Leadership from the Centre for Health Care Ethics at Lakehead University. Dr. Rushton is a Fellow of the Hastings Center and the American Academy of Nursing. Dr. Rushton received her Master’s of Science in Nursing, with specialization as a pediatric clinical nurse specialist, from the Medical University of South Carolina. She completed her undergraduate degree in nursing at the University of Kentucky and received a doctorate in nursing at the Catholic University of America, with a concentration in bioethics. Dr. Rushton is the recipient of three post-doctoral fellowships: a Robert Wood Johnson Nurse Executive Fellowship (2006-2009), a Kornfeld Fellowship in end-of-life, ethics and palliative care (2000), and a Mind and Life Institute Fellowship in Contemplative Science (2013-2014). Rushton, C.H., Batcheller, J. Schroeder, K., & Donohue, P. (2015). Burnout and resilience among nurses practicing in high intensity settings. American Journal of Critical Care, 5(7), 377-84. Haywood, C., Williams-Reade, J., Rushton, C. H., Beach, M. C., & Geller, G. (2015). Improving clinician attitudes of respect and trust for persons with Sickle Cell Disease.Hospital Pediatrics. 5(7):377-84. Sugarman, J., Kass, N. Rushton, C.H, Hughtes, M., Kirsch, T. D. (2015) Translating professional obligations to care for patients with Ebola virus disease into practice in nonepidemic settings. Disaster Med Public Health Prep. 9(5) 527-530. Bosslet, G. T., Pope, T. M., Rubenfeld, G., Lo , B., Truog, R., Rushton, C., Curtis, J. R., Fords, D. W., Osborne, M., Misak, C., Au, D. H., Azoulay, E., Brody, B., Fahy, B., Hall, J., Kesecioglu, J., Kon, A. A., Lindell, K., & White, D. B. (2015) An official ATS/AACN/ACCP/ESICM/SCCM policy statement: Responding to requests for potentially inappropriate treatments in intensive care units. American Journal of Respiratory and Critical Care Medicine. Henry, L. M., Rushton, C., Beach, M. C., & Faden, R. (2015). Respect and dignity: A conceptual model for patients in the Intensive Care Unit. Narrative Inquiry in Bioethics, 5(1A), 5–14. Geller, G., Branyon, E., Forbes, L., Rushton, C., Beach, M. C., Carrese, J.,Sugarman, J. (2015). Health care professionals’ perceptions and experiences of respect and dignity in the intensive care unit. Narrative Inquiry in Bioethics, 5(1A), 27–42. Lewis-Newby, M., Wicclair, M., Pope, T., Rushton, C., Curlin, F., Diekema, D., Durrer, D., Ehlenbach, W., Gibson-Scipio, W., Glavan, B., Langer, L., Manthous, C., Rose, C., Scardella, A., Shanawani, H., Siegel, M. D., Halpern, S. D., Truog, R. D., & White, D. B. (2015). Managing conscientious objections in intensive care medicine: An official policy statement of the American Thoracic Society. American Journal of Respiratory and Critical Care Medicine, 191(2), 219-27. Back, A., Rushton, C., Kaszniak, A., & Halifax, J. (2015). Why are we doing this? Clinician helplessness in the face of suffering. Journal of Palliative Medicine, 18(1), 26-30.